Smart PPC provides you with the help you are looking for to get more from Google AdWords. 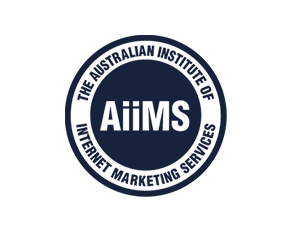 We help you to get the attention of the more than one million searches conducted on Google every day by Australians. With our help, you can realise the goal of getting on the first page of the search engine results in order to successfully connect with your target market. This way, you will gain more traffic and higher profits. We use Google AdWords to make sure you are showing up on Google within 24 hours of the time you contact us. Our Google qualified expertise and friendly customer service assure you are getting the results you are looking for. Capture the attention you are looking for with the help of Smart PPC today. We will make sure you are getting the advertising you need so you get even more from the powerful search engine. Contact one of the Smart SEO Google AdWords experts today on 1300 641 849. Smart SEO helps your website to rank on Google utilising proven methods used throughout the SEO industry. We are so confident in our ability to provide you with the ranking you are looking for that we guarantee it. As Google SEO experts, we are the best solution when you want to boost your ranking and drive traffic to your site. As proof of our ability to provide the results you are looking for, we have been able to provide the coveted first-page status for more than 38,000 keywords for our clients. 13,000 of these keywords have even been able to reach the number one spot. This has made it possible for our clients to be found more often and enjoy greater profitability than the competition. Let us know the kind of help you are looking for and our experts at Smart SEO will be able to provide you with marketing you need. Call us on 1300 641 849. Smart PPC provides you with the help you need to connect with the more than 11.5 million Australians actively on Facebook. It is just part of what we offer for those looking for a fresh internet marketing approach to social media. We help you to tap into the 30% of online purchases from 18-24 year olds that resulted from a message on Facebook. Let us help you to create, manage and run your Facebook advertising and social media services so you are getting the results you need to reach this all important audience. Utilise our talents and understanding of social media advertising so you can get even better results. Simply contact one of our friendly staff today and we will be able to provide you with the help you need so you are no longer missing out on the social media market. Get started today with a one of a kind approach to social media marketing – call one of our Smart SEO social media experts on 1300 641 849. Smart SEO can help you to take the first step towards the kind of web design you are looking for to get the best results from your website. We will help you to design your website and get it online so you are getting the best results possible. We take an individualised approach to every client to assure you are getting the results you want from your site. From a website that customised to meet your expectations to the kind of professional styling to meet modern needs, we provide you with what you are looking for. Our innovative and creative team provides you with professional results while still having a website that is easy for you to edit. Let Smart SEO provide you with the Google friendly system you have been searching for so you will be able to get even more from your site. We can even help with ecommerce solutions. Contact Smart SEO today for the best web design solutions – call us on 1300 641 849.